Buying from small local businesses not only invests in our community and our neighbors, but can also significantly reduce vehicle emissions from more than your personal vehicle. It’s hard to believe Thanksgiving and Christmas are just around the corner. It seems the holidays come more and more quickly each year and the shopping becomes more and more last minute. One great place to start your search for a contribution to a holiday gathering or gift exchange is with our small local businesses. Whether it is an assortment of microbrews from the local brewery, cookies from the neighborhood bakery, or hand-made jewelry from a local artisan, your purchase not only provides a unique gift, but also helps the environment and the economy. It’s the whole concept behind Small Business Saturday. The event was launched in 2010 by American Express on the first Saturday after Thanksgiving in an effort to encourage consumers to shop locally and shift more holiday spending dollars to small businesses. We are small business owners ourselves. Our environmental consulting firm Legacy Environmental Services Inc. is on the square in downtown Crown Point where our neighbors are fellow small business owners running coffee shops, taverns, boutiques, restaurants, specialty shops, salons, dry cleaners and more. When our offices moved to the downtown square nearly two years ago, we knew the location would allow us to better live our mission. Previous lunch runs and errands required car trips. Now, those trips are almost exclusively made on foot. Doing so has allowed us not only to reduce emissions and gasoline use, but also to spend our money locally while getting to know our corporate neighbors. Buying from small local businesses not only invests in our community and our neighbors, but can also significantly reduce vehicle emissions from more than your personal vehicle. Consider the journey an item at a big box store or an online retailer might take before it arrives at your home. Many items travel a combined hundreds if not thousands of miles (particularly imported items) on marine vessels, cargo planes, locomotives, semis and box trucks. Those transportation modes more often than not are fueled by imported oil that causes harmful emissions, reduces air quality and weakens our nation’s energy security. The shipping industry has made tremendous strides in reducing its carbon footprint and is increasingly adopting new methods to increase fuel savings and reduce harmful emissions. 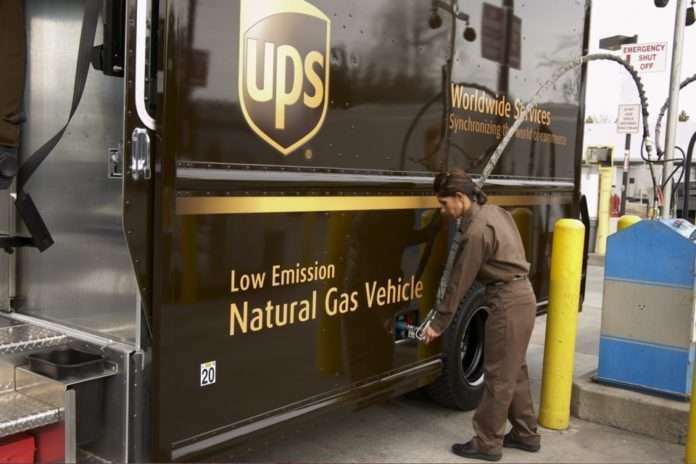 Shipping giant UPS, a national Clean Cities partner, is a leader in sustainability, with 9,300 low-emissions vehicles including electric, electric hybrids, hydraulic hybrids, propane, compressed natural gas, liquefied natural gas (LNG) and biomethane and more plans underway to reduce their carbon footprint. We commend them for their efforts and know many other companies — large and small — are making similar efforts, including our South Shore Clean Cities members. 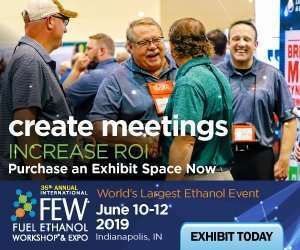 During this season of giving and of giving thanks, we would be remiss if we did not thank our members and partners for their efforts to support domestic fuels, reduce emissions and improve air quality through their support of our many programs. This column originally appeared in The Times of Northwest Indiana. Carl Lisek is executive director of South Shore Clean Cities and vice president of Legacy Environmental Services. The opinions are the writer’s.